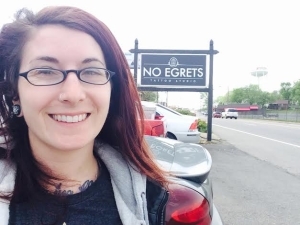 Click Here for Your Consultation! 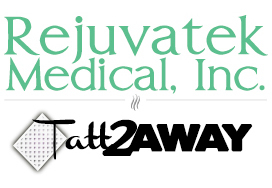 Rejuvatek Medical now offers Tatt2Away®, an innovative patented non-laser tattoo removal system that removes all colors, with nominal discomfort, fewer treatments and less cost. 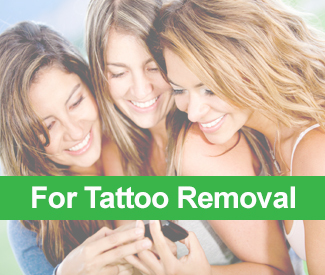 Over 6 million Americans are actively seeking a more complete method of removing their tattoo with less pain and fewer treatments. About 40% of those strongly prefer that it be removed in a clinical setting. Shouldn’t YOUR practice be the one to give them what they want? 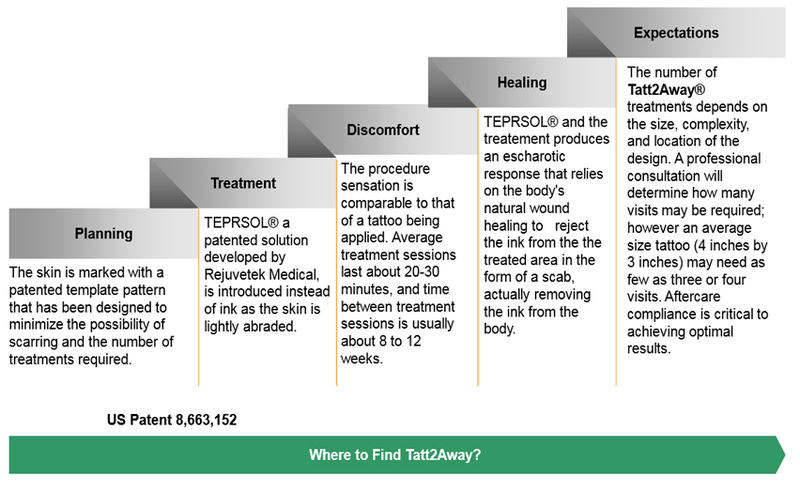 Tatt2Away offers your patients better value: more effective tattoo removal, nominal discomfort, fewer treatments, and a lower cost. 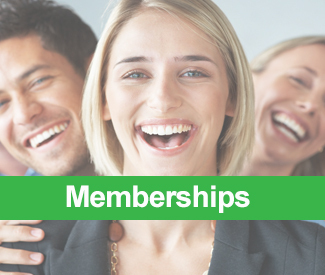 By having Tatt2Away as an option for your patients, it provides your practice with a new and growing customer base, an incremental revenue stream and an image of being the leader in new technology. Capture this business opportunity by clicking on the button below. You may become the first clinic in your area to offer this exciting newly patented service! TEPR® which is an acronym for Trans Epidermal Pigment Release® is the underlying premise of Tatt2Away’s process. A patented template with precision spacing between treatment dots is placed on the unwanted tattoo area that disrupts the pattern of the tattoo. 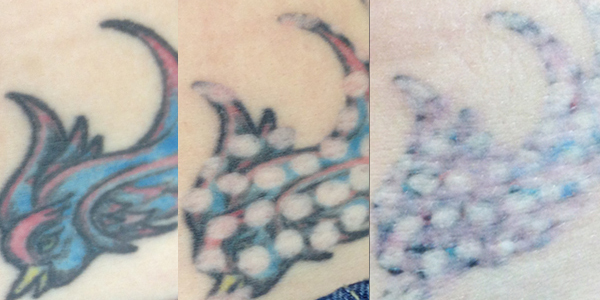 A proprietary solution is then introduced using a machine somewhat like a tattoo machine but with specifications that provide consistent, uniform results each and every time. Using TEPR (Trans Epidermal Pigment Release®) and the Tatt2Away System, Rejuvatek Medical’s patented and proprietary tools, solution, techniques, and processes have been proven to work effectively, reliably, and consistently for the desired outcomes. 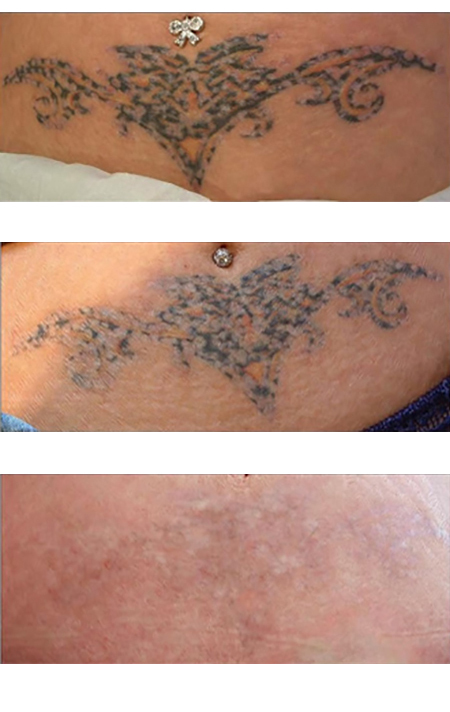 TEPR® which is an acronym for Trans Epidermal Pigment Release® is placed on the unwanted tattoo through the Epidermis into the dermis where the ink resides through a proprietary technique. And as getting the tattoo causes a “wound’ of the skin, so does the TEPR Solution which in the healing process the scabs (or the escharotics) bring the unwanted ink out of the dermis, to the top and is sloughed off with the scab revealing the healed skin underneath. 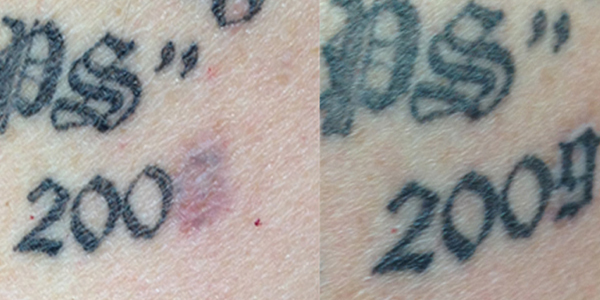 For most who have Tattoo Regret, lasers have not been able to live up to a decent value proposition. 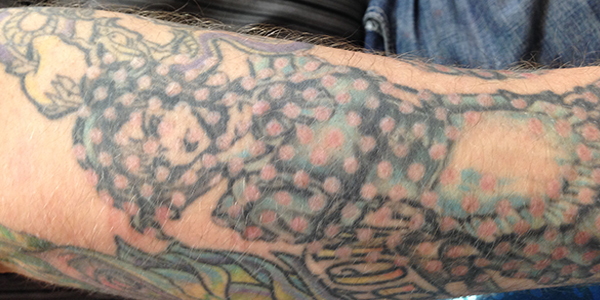 Lasers are painful, costly, and don’t do a good job so the word is out among those tattooed that a non laser system is available, they are clamoring for it. TEPR® or Trans Epidermal Pigment Release® can be placed to the desired treatment area directly with precision. So you can be Selective on where you place the TEPR Solution and where you do not. This ability enables you as a practitioner to accurately take care of what needs to be treated during the session, without any excess or other areas of the body being affected. Adding to your revenues with those who would potentially not cross the door of your location – Giving you more business that adds to your profits, and not take from your bottom line. TEPR® or Trans Epidermal Pigment Release® is all natural without creating any micro molecules that may pass through the lymphatic system into other organs. The pain of the treatment is likened to that of getting a tattoo. Tatt2Away® is the answer for all those patients who have been waiting for a way to effectively remove their tattoo without the excessive pain and cost. Fill out the form and we will be in touch promptly.